Nobody likes to get sent to the next page but be considerate when bumping your thread, no more than once every 48 hours please. Abuse of this will cause the thread to be sent away. as a new poster to any type of online forums - can you tell me what "bumping your thread" means? Is it re-posting of your item/question/trade multiple times? Bumping means making a comment in your thread that causes it to move to the top of the page so it gets more views. 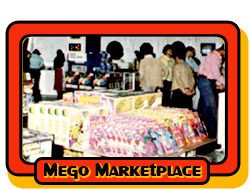 I have had nothing but positive experiences here in Mego Museum / Marketplace buying. I'm in a groove and on the move collecting Mego POTA figures. PM me anytime. I accidentally deleted my thread in the marketplace using my phone when I thought I had just hit edit. Anyway I can get thread undeleted? I read it! Helpful - thanks! All times are GMT -5. The time now is 3:15 AM.